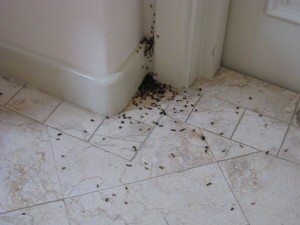 Are you being overrun by pest at your Minneapolis, MN place of business? Whether it’s a corporate office, industrial setting, multi-housing community, hotel/motel, restaurant, education building or mall – Eco Tech can provide effective commercial extermination services for any bugs that are creeping you out. Our prices are affordable and we are available 7 days a week and offer emergency services 24/7! The best part about all of this is we can kill the bugs, while not harming or posing a threat to anyone, besides the bugs. Our natural pest extermination methods are just as effective as the traditional ones but they decreases any risks involved with contact with chemicals. We are your local, safe and effective solution to any insect problem. We believe in a better tomorrow, which is why we use ‘Green’ products. Pests are insects that have infiltrated the space we occupy but they are important when looking at the world as a whole. We are dedicated to keeping their ‘natural habitat’ safe, so they have a place to thrive, away from us because they are crucial to our Eco System. We are a professional pest control company that focuses on bug extermination, as well as environmental safety. Our exterminators are highly trained, knowledgeable and well equipped to provide a humane approach for all your extermination needs. Don’t let anymore bugs come crawling through the cracks, to contact Eco Tech today call 763-785-1414, fill out this simple online form or call our emergency extermination services line at 612-237-8282-24/7 day or night!